Explore the real science behind the Cartoon Network phenomenon Rick and Morty—one of television’s most irreverent, whip-smart, and darkly hilarious shows—and discover how close we are to Rick’s many experiments becoming a reality. Adult Swim’s Rick and Morty is one of the smartest (and most insane) shows on television. Genius alcoholic Rick Sanchez and his hapless grandson Morty have explored everything from particle physics to human augmentation and much more in their intergalactic adventures through the multiverse. With biting humor and plenty of nihilism, Rick and Morty employs cutting-edge scientific theories in every episode. But, outside of Rick’s garage laboratory, what are these theories truly about and what can they teach us about ourselves? 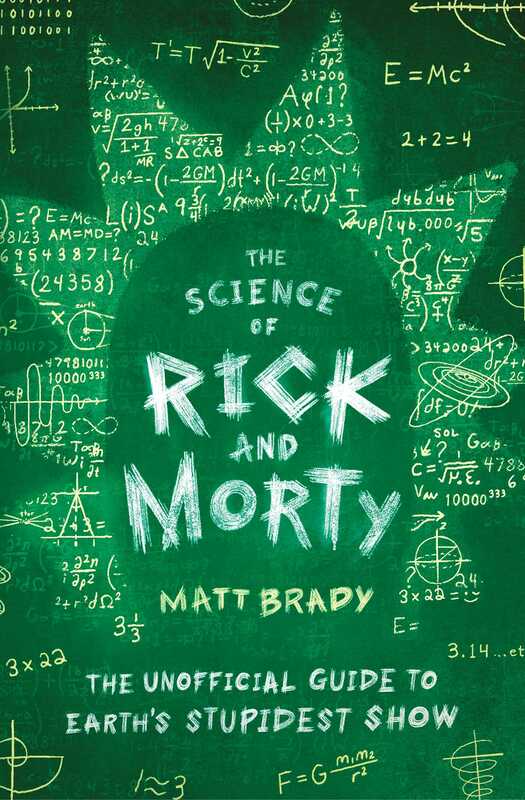 Blending biology, chemistry, and physics basics with accessible—and witty—prose, The Science of Rick and Morty equips you with the scientific foundation to thoroughly understand Rick’s experiments from the show, such as how we can use dark matter and energy, just what is intelligence hacking, and whether or not you can really control a cockroach’s nervous system with your tongue. Perfect for longtime and new fans of the show, this is the ultimate segue into discovering more about our complicated and fascinating universe. Matt Brady is a high school science teacher and pop culture writer based in North Carolina. Prior to working in education, Brady co-founded and was editor-in-chief of Newsarama, which received the first Eisner Award for Best Comics-related Journalism. Brady is also the founder of The Science Of…, a website that uses pop culture to help us better understand science.